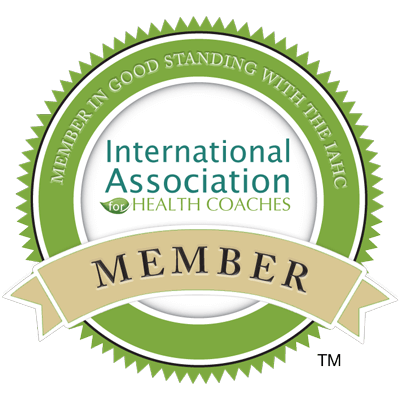 Why Don’t You Have Enough Online Health Coaching Clients? Getting an online health coaching business up and running can seem like a lot of work. There are lots of moving pieces to get in place. First you need to get your website setup, but that is really just the first piece of the puzzle. Next you put a small opt-in box on your website asking your visitors (assuming you have any) to sign up for your newsletter. If you have been following me for awhile you know that I recommend against this. Unless you have a compelling newsletter that is super targeted your conversion rate will be next to zero. People don’t want to read your newsletter, they want solutions to their problems. 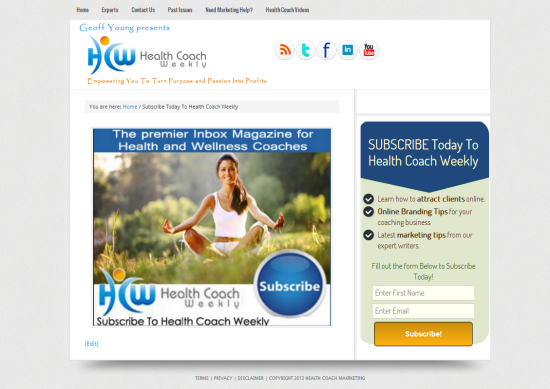 I realize this is an ironic statement coming from me, since at it’s core, Health Coach Weekly is basically a newsletter. Like you know, every rule has an exception. If you have a laser targeted tribe that is seeking a solution to a specific problem, this can work. 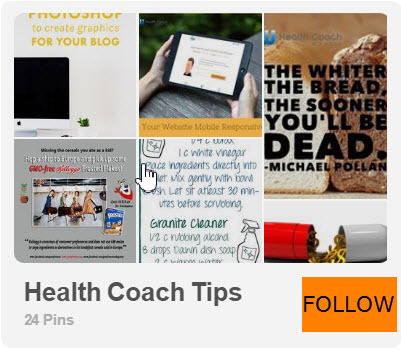 You are more than likely a health coach who is searching for information about how to market your health coaching practice online. OK, so now you need to set up some auto responder messages and start putting out a newsletter. (remember, don’t call it “my newsletter”) Things are starting to look like they are coming together. You put together your first online health coaching program, spend 3 hours trying to figure out how to put a PayPal button on the sales page and wait for the clients to arrive. And then…..if your experience is like most people first starting in this space, the results don’t quite meet up to your expectations. It’s seems like you have done an awful lot of work for very little return. Probably the most important thing you are probably lacking is traffic to your website. I’m sure you’ve heard everyone talking about the wonders of free traffic. Facebook, pinterest, twitter, the list goes on and on. Sure, these are all important to your business and good sources of traffic. The problem is, especially when you are just starting out is that it takes a good bit of time and learning to get any significant traffic from social media or search engine optimization (SEO). This doesn’t mean you shouldn’t be doing these things, but they are longer term strategies. You need some clients next month, not next year! So what do you do? The simple answer is paid advertising. It is not nearly as complex as people would have you believe. The trick is to have an irresistible free offer (I.F.O.) that your target market will really want and ask for their name and email in exchange. 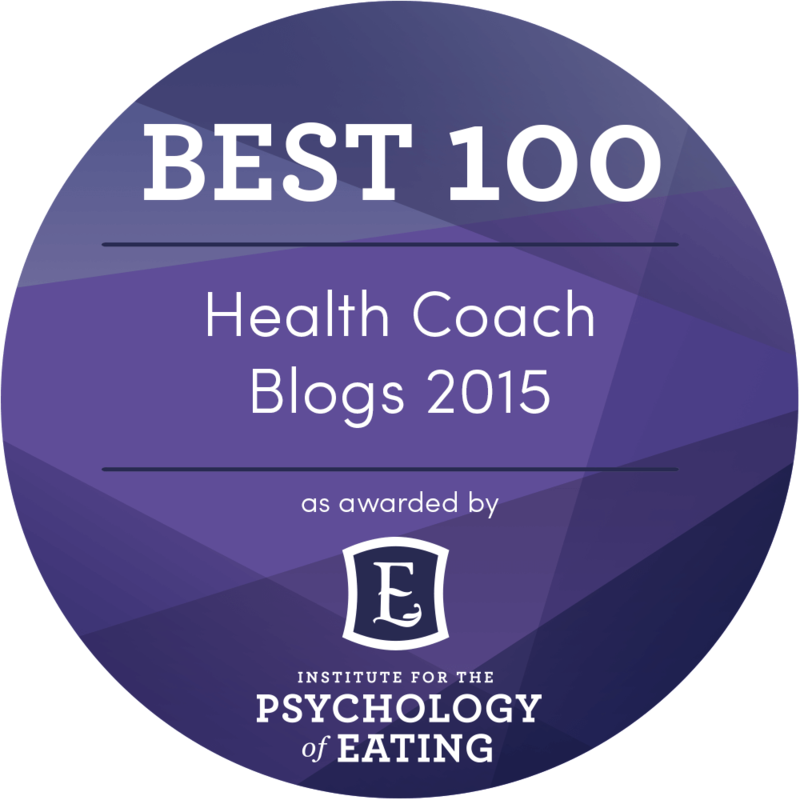 This is another stumbling point for lots of health coaches. You mean I have to pay someone to take my free offer? That hardly seems fair. Trust me on this one. If all you do is put up a sales page to your online health coaching program and buy advertising to send people to this page, your results will be beyond disappointing. You need to take a longer view of the sales funnel process. Sure, it takes time, energy and/or money to get people to sign up for your free offer, but once they are on your list you will have the time to develop a relationship with them and then start offering your products or programs. Get this part wrong and all your other hard work will be wasted. 2. Where to send the people to? 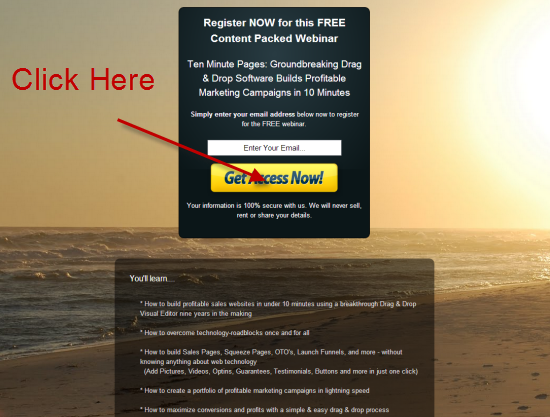 Do you have an opt-in box in the sidebar of your website? That is great to grab the email of someone who came to read one of your blog posts or is just checking out your website. Now you are spending actual dollars to get someone to visit your website, you want to make sure they see your free offer and don’t have a lot of other distractions going on. A squeeze page is a page where you can give away your free offer, have people sign up for a webinar, teleseminar or any other free content you are giving away. 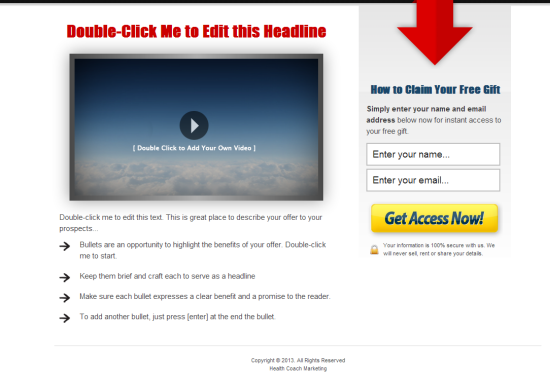 There is nothing else on the page except for your free offer and a spot for people to enter their name and email. Sure, some people will not be interested and will leave, but if you have done a good job on researching our niche and finding out what they want, a lot will take it. You can also use free traffic methods to drive traffic to your squeeze page, like Facebook, twitter and pinterest. You can even use your blog or newsletter. Go ahead and click on one of the images to see this in action. I see a lot of health coaches who are uncomfortable selling their services. In short, that is more about your issues than anything. As long as you have a valuable service that is benefiting your clients, don’t be afraid to talk about your services. This can be in the form of the free consultation model, or if people have been on your list for awhile, just tell them about all the benefits of your program and give them ways to sign up. No need to beat people over the head with the sales message. Some people will want your services now, some in the future, and some for their sick aunt. Just be sure to have a few different price point options when it comes to working with you. Most people initially won’t be dropping thousands of dollars on a long term coaching program until they get to know, like and trust you. Setting up a squeeze page is the most effective way of getting new people to join your email list. Whether you are giving away a free eBook, a report, webinar, teleseminar or video training, the method is the same. Send targeted traffic to your squeeze page, give them your free gift in exchange for their name and email, and consistently follow up with them. CLICK HERE to learn how to create these pages on your website at the push of a button, without knowing any code and even if you don’t have a wordpress website.